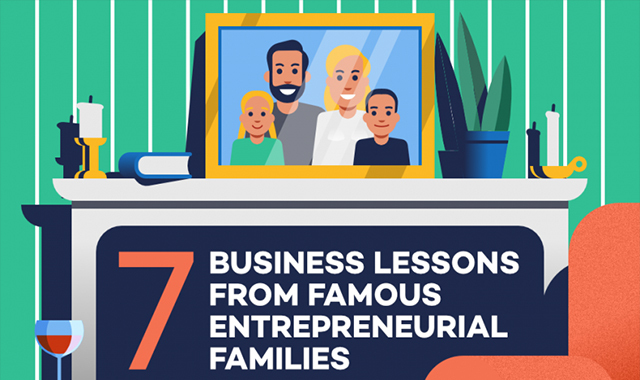 Business Lessons From Entrepreneurial Families #infographic ~ Visualistan '+g+"
Entrepreneurship is a challenging undertaking, but adding your family into the mix provides a whole new dynamic. When entrepreneurship runs in your family, it’s inevitable that unique challenges will arise as you spend time building a business with the people that are closest to you. If you work with your family, it can be especially hard to separate your work life and your home life. The pressure to hire and promote family members, high turnover of non-family employees, and balancing the best interests of both your business and those that you love most makes running and working in a family business uniquely challenging.